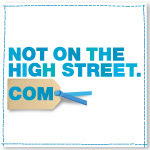 Father's Day is just a few weeks away (June the 16th) If you are looking for something a little bit different, we have a great range of unusual gifts which are perfect to give to Dad's and Grandad's this father's day. 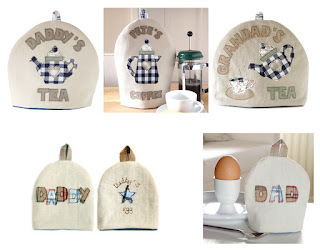 For tea and coffee lovers, we have have a range of personalised tea and coffee cosies and if you fancy treating your dad to a fathers day breakfast in bed. A personalised egg cosy will keep boiled eggs perfectly warm. 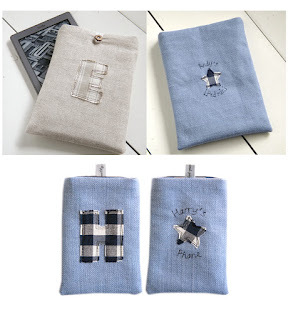 For gadget fans, you can choose kindle covers, mini ipad covers and phone cosies. Featuring an initial of your choice on one side, with a heart or star on the other, where further words can be added. 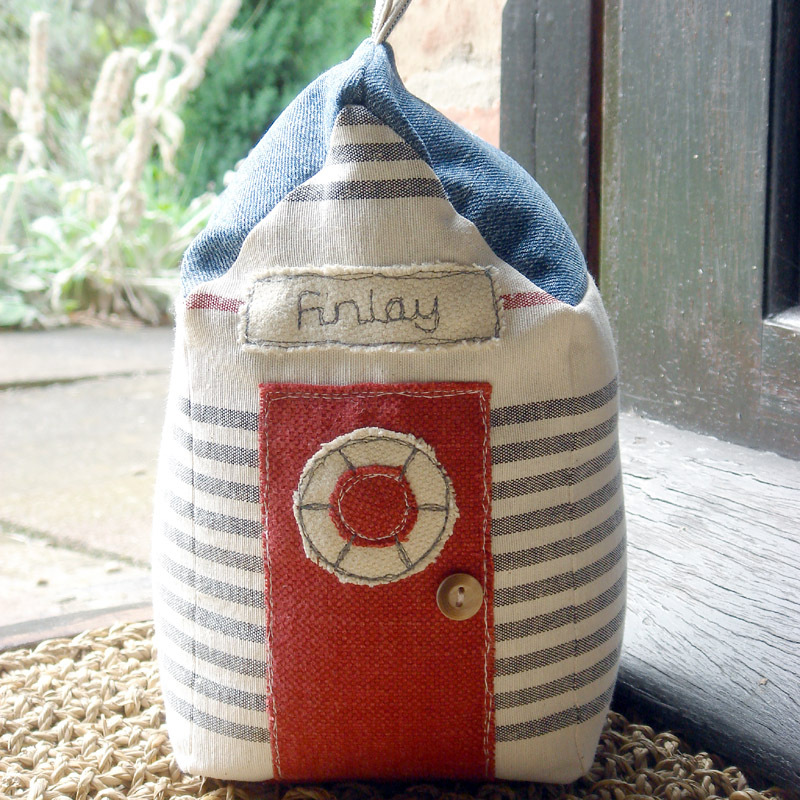 For something really unusual, our personalised beach hut doorstops would make a really fun father's day gift. 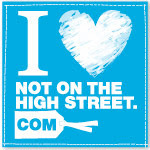 They are filled with organic wheat from our local farm shop and the roofs are made from old pairs of jeans. Why not show who's chair belongs to whom. 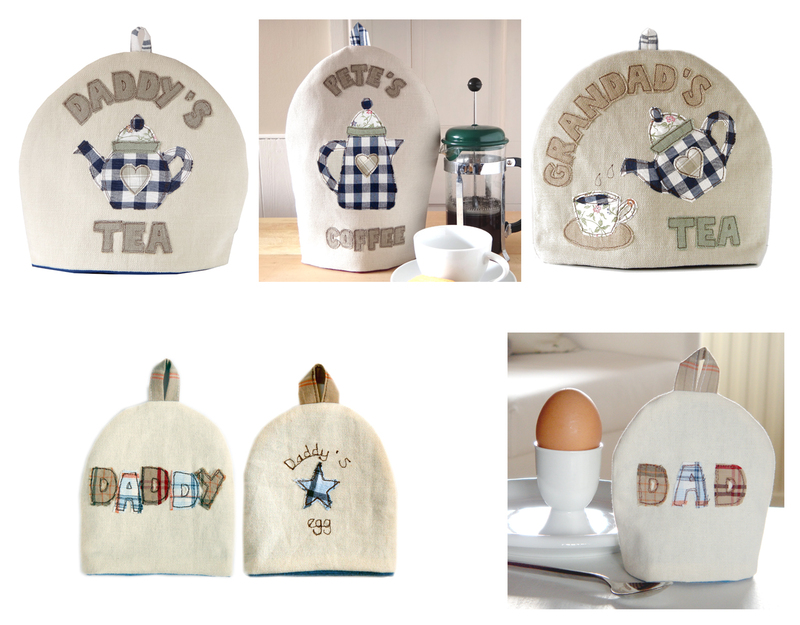 Our personalised cushions can be appliqued with any words of your choice, perfect for both dads and grandads. 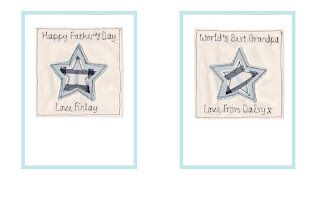 They are available with a choice of either hearts or stars, which can be appliqued in a range of colours. 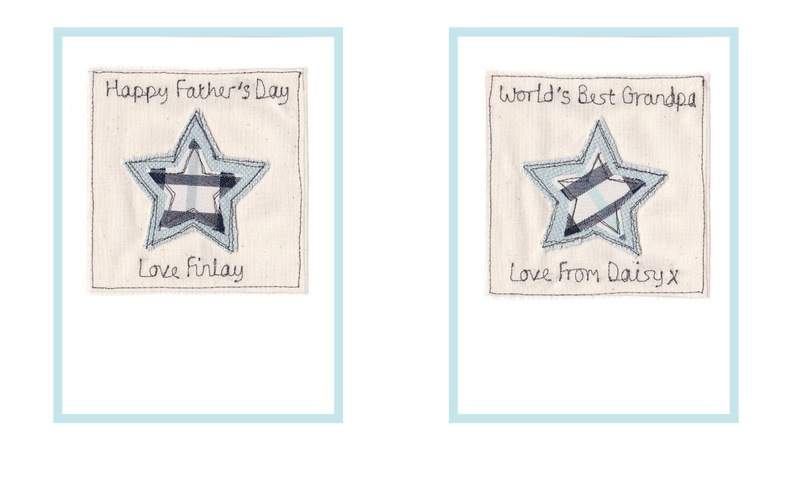 For that finishing touch, our personalised star cards are ideal. They can be embroidered with any words of your choice and would look great popped in a frame to make a wonderful keepsake gift.